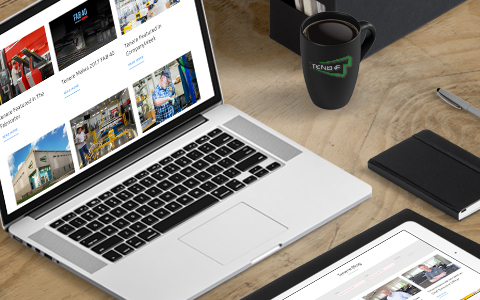 About Us | Tenere Inc.
Our story began before Tenere, when Hansman Industries was founded in 1946 and Progressive Tool & Design was established in 1977. Tenere was formed in Wisconsin through the acquisition of both companies in 1993. The company continued to grow with the acquisition of Denver Die and Molding (est. 1970) in 1995, a Colorado-based plastic injection molding company. After being purchased by The Watermill Group in 2012, Tenere began experiencing rapid growth. In 2015, Tenere acquired Mountain Molding - a plastic injection molder in Colorado - and in 2016, opened a new sheet metal fabrication facility in Monterrey, Mexico as well as consolidating our Colorado plastics operations into one brand new larger facility. The incredible growth with our customers has allowed us to invest in new buildings, machines, automation, and the dedicated people at Tenere who work extremely hard. We embrace a creative, experimental, and collaborative environment with our customers, challenging each other to build a stronger and more reliable end product through our core competencies of operational excellence, strategic account management, engineering and technical expertise, and supply chain. Tenere continues to accelerate forward as we pursue our vision: to be the leading global supplier of custom mechanical solutions serving innovative customers in dynamic markets. Check out the Tenere blog and stay current with the latest news, announcements, and more. We take quality seriously. Browse our ISO certificates for our Wisconsin, Colorado, and Mexico facilities. Interested in working with Tenere? Connect with us today to see if we are the right fit for your needs.